Our Strength Lies in the Experience of Our Staff, They Are Our Most Important Resource. We have a team of highly qualified and motivated professionals who can manage any project from design and environmental assessment stages through to onsite mitigation. Our people bring intellect, experience and know-how to their roles. They have proven track-records and are recognised to be the leaders in their area of expertise. Rob graduated with an Honours degree in Archaeology and Classics from University College Dublin. Having spent a number of years working for all the major Irish consultancies before he established IAC Ltd. in 1998. He is a licence eligible archaeologist and has 20 years’ experience working commercial archaeology in Northern Ireland and the Republic of Ireland. 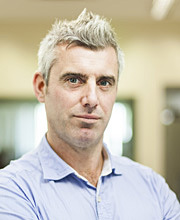 Rob has extensive fieldwork, post-excavation and project management experience both in Ireland and on mainland Europe. He has successfully managed major projects such as M3 Clonee-Kells, N9-N10 Contract 4, M1 Drogheda Bypass and N6 Kilbeggan-Athlone. Rob has recently managed a number of major public and private sector projects in the Slovak Republic, including the R2 Ruskovce-Pravotice and the D1 Jánovce-Jablonov, motorway projects. Rob has also has significant experience in co-ordinating and delivering a wide range of EIA, Oral Hearings and Archaeological Assessments for a wide range of developments such as motorway, pipeline projects, wind-farms and greenfield/brownfield developments. In addition Rob has produced archaeological tender specifications for a number of Local Authorities and has acted as the Client’s Archaeological Representative on a number of projects. Rob formally held the Chair of the Institute of Archaeologists of Ireland and he is currently a member of the Institute. Conor graduated from Athlone IT with a Diploma in Business Management and a Post Graduate Diploma in Project Management from Trinity College Dublin. 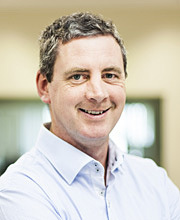 Conor has over 15 years’ experience in Project Management in the Construction & Services Industry in both Ireland and internationally, having spent 4 years in Australia as a Project Manager with a major Engineering Contracting Company. Conor joined IAC Ltd in May 2006. 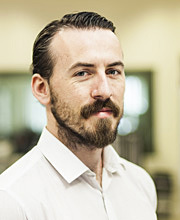 In his role as the Company Projects Manager Conor has overall responsibility for the day to day running of the company and for the development and implementation of cost efficient and effective internal processes, ensuring a competitive and professional service to our Clients. Conor has particular strengths in coordinating and overseeing the management, organisation, execution and delivery of large and medium scale projects. In partnership with our senior archaeological staff, Conor overseas the delivery of IAC projects within the agreed time and budgetary constraints and to the high professional standard that has been the hallmark of IAC since our establishment. Michael Hand is one of the country’s most respected Chartered Engineers and Chartered Water & Environmental Managers with over 35 years’ experience working Irish industry. He has acted as Project Manager & Project Director for large iconic Water, Roads and general Infrastructure projects throughout Ireland. Michael acted as Director, Managing Director and Executive Chairman of PH McCarthy Consulting Engineers from 1987 to 2007. His experience in strategic business direction and leading change saw him spearhead the growth of PH McCarthy leading it from a small, single discipline practice to a modern multi-discipline Consulting Engineering business employing 185 staff. Michael led the negotiations which subsequently resulted in the merger of PH McCarthy Consulting Engineers with White Young Green plc in 2007, where he acted as Managing Director – Engineering and was Main Board Statutory Director for WYG Ireland from 2007 to 2010. In 2010, Michael became Chief Executive Officer of Grangegorman Development Agency, the State Agency responsible for delivery of a €2bn, 40ha Strategic Development Zone to create a new DIT / HSE campus in Dublin 7. He has successfully led the Grangegorman Urban Quarter through the planning and early delivery stages and the project is now regarded as a national flagship project. 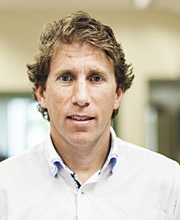 Michael is also a Chartered Director with formal training in Corporate Governance and Company Direction. He holds BE and MBA Degrees and was awarded an Honorary Doctorate by DIT in 2014. 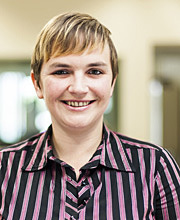 Faith is a Senior Archaeologist and Cultural Heritage Consultant with IAC Ltd. She holds an MA in Cultural Landscape Management and a BA in single honours archaeology from the University of Wales, Lampeter. She is a licence eligible archaeologist and has over 13 years’ experience working in commercial archaeology. Faith joined IAC in 2004 and in her capacity as Senior EIA Archaeologist, she has been responsible for the production and delivery of a large number of archaeological and built heritage desk top assessments, EIA, master plans, LAP/SEA and management plan associated with all sectors of development in the Republic and Northern Ireland. EIA for large scale road schemes, include the M11 Enniscorthy Bypass in County Wexford and the N22 Ballyvourney-Macroom Bypass in County Cork. EIA assessment for large scale wind farms includes Derrysallagh in County Sligo and Evishagarren in County Derry. Faith’s in-depth knowledge of the planning systems and heritage legislation within both the Republic of Ireland and Northern Ireland, twinned with the excellent working relationship she has developed between our clients and statutory authorities makes her one of the most experienced archaeological and cultural heritage consultants currently operating within the sector. Faith has significant experience in the preparation of Briefs of Evidence and taking the stand as the expert witness at Oral Hearings. Projects that have successfully been brought through Oral Hearing include large infrastructural schemes and SID projects. Tim graduated from UCD with a degree in Archaeology and Classics. With over 24 years’ experience in Irish Archaeology and a licenced director since 1995, Tim is one of the leading field archaeologists and project managers in the country, with extensive experience in excavation and the management of archaeological projects in both the private and public sectors. Tim joined IAC in 2000. In his role as Senior Archaeologist Tim has responsibility for liaising with clients, engineers, main contractors and design teams, and landowners, and managing and programming all onsite and offsite works for staff, and the works of all subcontractors. Tim has particular strengths in the management, organisation, execution and delivery of large and medium scale excavation and post-excavation projects. 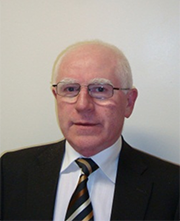 His extensive Project Management experience includes the M9/N10 Phase 4 Knocktopher to Powerstown project. The project was 65km long and works included the excavation of 330,000sq.m of test trenches and the excavation of 108 archaeological sites using a team of 350 archaeologists. Tim has worked in a wide range of archaeological contexts. In addition to extensive dryland experience from major projects such as the N2 Carrickmacross, N6 Kilbeggan – Athlone, M3 Clonee – North of Kells and the Clonmel Flood Relief Scheme, Tim has significant experience in wetland and deeply stratified urban sites. Having worked with the Irish Archaeological Wetland Unit and been Director of the Lisheen Mine Project in the 1990’s, Tim has significant experience in the excavation and survey of wetland archaeology. Recent experience includes his role as Project Director of archaeological mitigation on Bord na Mona bogs and the excavation of 50 wetland archaeological sites at Derryville Bog for Lisheen Mine. Tim, who has excavated extensively in urban medieval Dublin, has published articles and chapters in a number of monographs and journals. He has given lectures to the Friends of Medieval Dublin Society on the results of significant excavations he carried out at Anglo-Norman Back Lane/Lamb Alley and medieval ecclesiastical site and cemetery on Stephen’s Street. Tim is a qualified Occupational First Aider, and is a holder of the CIF Managing Safely in Construction certificate and he is the Health and Safety Coordinator for the company. 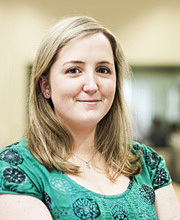 Christina joined IAC in 2014 and heads up the team in our Belfast Office. Christina holds a BA (Hons) degree in Archaeology with History from University College Cork and an MSc in Environmental Archaeology from Queen’s University Belfast. With over 13 years’ professional experience, Christina has directed licensed excavations in Northern Ireland across a range of sectors including major infrastructural schemes, commercial developments and quarries. Christina has been based in Northern Ireland since 2002 and has a unique insight into the practise of archaeology in the regulatory environment in the province, having both extensive experience in the commercial archaeology sector and having worked as an archaeologist with the Northern Ireland Environment Agency. Community Archaeology is one of Christina’s passions and she recently spent two years developing and delivering archaeological workshops for schools on both sides of the border. Whilst in NIEA, she was responsible for the implementation and delivery of projects that celebrated Derry-Londonderry as UK City of Culture 2013 and gained considerable experience engaging with community groups and stakeholders. 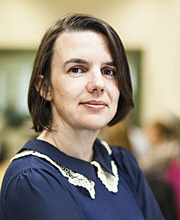 Christina is a member of the Institute of Archaeologists of Ireland and has sat on the IAI Board since 2012. She is also Chair of the IAI’s Northern Ireland Working Group. Maeve graduated from University College Cork with a B.A in Archaeology and an M.A. in Osteoarchaeology. She joined IAC in 2006 as an Archaeological Consultant and our in-house Osteoarchaeologist. Maeve has gained considerable experience in the preparation, co-ordination and submission of EIA and desk-top assessments for a variety of largescale commercial schemes, windfarms and infrastructural projects, including the N11 Enniscorthy Bypass,the N7 Naas Widening and the Sallins Bypass. In addition to her consultancy work, Maeve is an experienced field archaeologist and has supervised and acted as on-site osteoarchaeologist on a wide range of excavations across the country on both large infrastructural schemes and smaller research projects. As IAC’s in-house Osteoarchaeologist Maeve has analysed and reported on inhumation and cremation burials from both commercial and research projects. Most recently she excavated and analysed burials from within the gatehouse at Swords Castle; a National Monument. Maeve was also recently appointed by the National Monuments Service to conduct the analysis of cremated remains from the significant cemetery at Longstone, Cullen, which will form part of a publication by Christiaan Corlett of NMS. Maeve has participated in public seminars and published several articles on the early medieval cemeteries at Holdenstown, Co. Kilkenny and Britonstown, Co. Wicklow. Paul graduated with a first class BA (Hons) in Heritage Studies from GMIT in 2005. He spent several years working on large infrastructure projects supervising numerous prehistoric and medieval excavations throughout Ireland. Paul’s international experience includes supervising excavations in France as well as leading many large scale heritage surveys and rock shelter excavations in advance of mining operations in Western Australia. In recent years, Paul’s focus has been on community archaeology and he was awarded Royal Irish Academy excavation grants in 2013 and 2014 for his project Grassroots Archaeology. In project managing Grassroots Archaeology, Paul worked closely with local community groups, local authorities, academic researchers and local schools to achieve the project’s objectives. Paul joined IAC in 2014 and is responsible for the preparation, co-ordination and submission of EIA and desk-top assessments as well and conducting programmes of archaeological testing and excavation. Paul is a full Member of the Institute of Archaeologist of Ireland. He has published in numerous volumes and has lectured on his works in Ireland, France, Australia and the UK. His research interests include community archaeology, medieval settlement and defensive architecture. A licence-eligible archaeologist with over 10 years’ experience in commercial archaeology David joined IAC in 2013 and is responsible for archaeological monitoring, testing and excavations throughout the country. He graduated with a first class BA in History and Social Anthropology from QUB in 2000, followed by an MA in Irish History in 2001. Following four years working in the Northern Ireland environment and heritage sector he gained an MA (Distinction) in Archaeology in 2005. He has worked for the academic archaeological units associated with UCC and QUB and in the latter directed a number of excavations, working closely with the NIEA Environment and Built Heritage. David also formed part of the research team for the UCD Instar funded Neolithic and Bronze Age Landscapes of North Mayo project. David’s research interests include the Earldom of Ulster and the medieval manor of Bray, Co. Wicklow. Most recently he formed part of the team investigating the 17th century Ulster Plantation as part of the Ulster Scots Archaeological Project. David also undertakes analysis and reporting of post-medieval finds from excavation sites. He is a full member of the Institute of Archaeologists of Ireland and several archaeological and historical societies. He has published in journals and has lectured at conferences and for local historical societies. Rob has a post-graduate diploma in Environmental Planning and a Masters in Urban Building Conservation from UCD. He has thirty years’ experience as a professional planner, working with the London Borough of Redbridge and later with the London Borough of Tower Hamlets, including local plans for the conservation areas. For two years before leaving England he was on the Conservation Advisory Committee for the London Borough of Lewisham. In 1990 he took up a position with Dublin City Council, in which he worked on many aspects of planning including Environmental Impact Assessment on projects such as the North King Street road improvement and on area plans for areas such as Collins Barracks, Islandbridge Mills and Dublin’s Quays and on the restructuring of Sheriff Street. Rob was chair of Dun Laoghaire-Rathdown’s Historic Monuments Advisory Committee, 1996-1999, sat on Dublin City Council’s archaeology working group in the preparation of the Heritage Plan and chaired the architecture working group during the production of Dun Laoghaire-Rathdown’s Heritage Plan. For the past twenty-five years Rob has been researching the histories of buildings and towns. He has prepared detailed reports for clients throughout Ireland. Work has included built heritage inputs to EIS for various infrastructural projects and development sites. 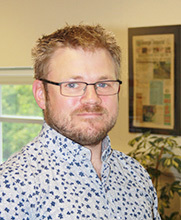 The greater part of his work over the past ten years has been in the architectural assessment and recording of buildings of all periods, taking proposals from the initial survey and concept stage, through the discussions with the planning authority and conservation officer to planning application. In many of these cases he works closely with the architect at construction phase, providing conservation advice and ensuring that the works are completed to the conservation standards required by the planning authority. 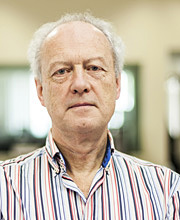 His publications include six books and numerous articles and papers including the third Dublin volume of the Irish Historic Towns Atlas for the Royal Irish Academy. He teaches Georgian building construction on the post-graduate conservation course in TCD and for some years taught a module on the development of the Irish town at Masters level in NUI Maynooth. He is a founder member of the Industrial Heritage Association of Ireland.